Lukashenko had allowed March 25 to be publicly celebrated this year for the first time in his 24-year rule. Dozens of people have been arrested in Belarus as opposition activists attempted to hold an unsanctioned rally in the capital, Minsk. The March 25 rally was to commemorate the 100th anniversary of Belarus's 1918 proclamation of independence from Russia. The Belarusian People's Republic lasted until 1919, when it was effectively taken over by Soviet Russia, according to RFE/RL. Known as Freedom Day, the anniversary is traditionally a day for opponents of the authoritarian government of Belarusian President Alexander Lukashenko to stage protests. The Belarusian opposition accuses Lukashenko, who has been in office since 1994, of attempting to erase Belarusian identity and "Russifying" the former Soviet republic. 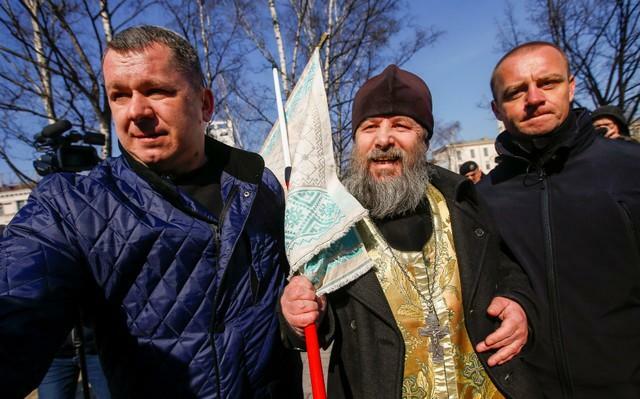 The Minsk-based human rights group Vyasna reported that around 30 protesters were arrested ahead of the rally, including 15 in the eastern region of Mahileu. Earlier, authorities detained former presidential candidates Mikalay Statkevich and Uladzimir Nyaklyaeu and 12 organizers of the march. Read alsoPoroshenko rejects Belarus involvement in Donbas peacekeeping mission - mediaLukashenko had allowed March 25 to be publicly celebrated this year for the first time in his 24-year rule. But while the authorities sanctioned a concert in a park in central Minsk, the opposition march was banned. Thousands of people attended the concert, many carrying the red and white flag of the 1918 republic that was also used by Belarus from 1991-95. It has become a symbol of the opposition. On March 25 last year, riot police arrested dozens of people who were taking part in Freedom Day rallies in Minsk.